Low slung, slow and dubby, Artisan Audio's latest offering is a slice of the deep, reverb filled world of Dub Techno. Lush, ethereal melodic elements over deep, throbbing kicks as layers of FX and pads fill the sonic spectrum and keep everything moving forward. We've put together a beautiful collection of the essential stab loops that give Dub Techno it's unique sound. All dripping with organic flavour and soul and equally useful in a huge range of genres. A diverse range of drums is on offer for you to easily move around the different areas of the genre. Low, subby kicks and crackling natural percussion followed by the essential cutting hats. 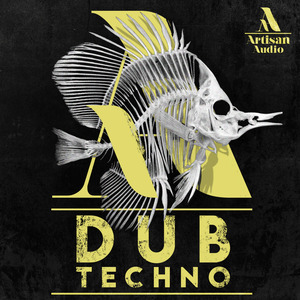 This is an incredibly useful pack for not only the fundamental of Dub Techno but just as useful for a whole range of classic and emerging genres. Time to get dark, deep and dubby!